To Dubai, to Dubai to the Dentist I…went. 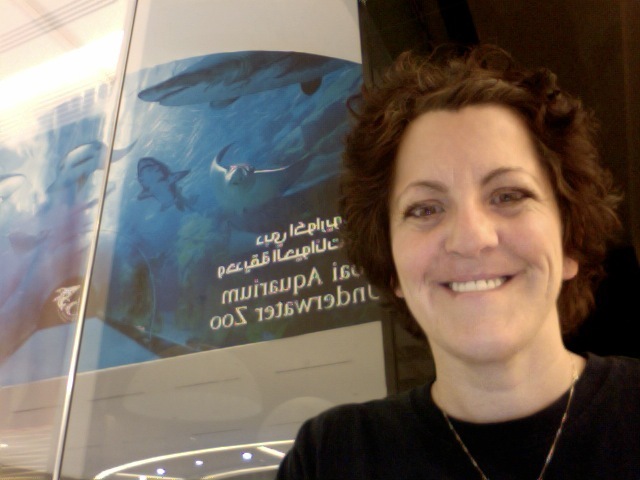 Did I mention I went to the dentist… in Dubai? No? Right. Sorry then, let’s catch up. What? Ah, yes. The accent. It seems I’m channelling Dr. Zahl; he’s a Dubai born, London schooled, American Dental Association Certified Prosthedontist with an accent straight from Bollywood. And he’s currently the man in my life. Sorry Mike; it’s only temporary. (he’s 64, you’re safe) Let me explain. The showers at the ‘Ville are treacherous to climb in and out of. The ledge of the tub is about 4 inches higher than my knees. There are handles suction-cupped to the inside of the shower but the suction gives way frequently and they’re placed too high for me to see the 1/4 inch tab that switches from green to red when the suction is gone (or is it red to green?) and , well, yeah. I am pleased with myself for shipping a set of bath rugs from home; I believe it’s what kept me from falling on the way OUT of the shower. I’ll spare you the details lest I provide a less than suitable visual but I slipped. It wasn’t pretty. It wasn’t overly painful and the blood loss was minimal but the end result was a cracked molar, a broken bridge and a bruised jaw with matching bruised ego. When I finally mentioned it at work the response was, “Yeah, people fall in these showers all the time…” Hmmm. Ok.
And so after days of research (while waiting for my travel documents to be arranged) I discovered a private clinic in Dubai who responded to my e-mail inquiries in perfect English, answered no less than 16 questions in the span of three days and assured me they had room on their schedule to see me this week AND could complete the entire process inside of seven days. I flew from Kabul to Dubai Monday; arrived 45 minutes late (because the plane left 45 minutes late because the airport gates OPENED 45 minutes late) and just 45 minutes before my Noon appointment. After an hour consultation (which included me giving an oral history of my cleft repair; they’re always intrigued by the INSIDE of my mouth) we agreed on a treatment plan and I set out to find my hotel, stow my luggage have a quick shower. Then it was back to the dentist for… well, not torture but something close. It involved eight injections and four drill bits. (he replaced them as he wore them down) It made sense to me to leave Dubai with everything matching and in order so I ended up opting for a bit more work than just replacing the area I damaged in the fall. You’ll pardon me if there are no photos; it’s not pretty. Trust me. Make sure you floss before you go to bed tonight. ← Nothing new from me. Instead, here is today’s local headline. That’s awful. I thought it was bad this past November, when in a rush to get dental work done before my dental insurance ended with my employment, I got multiple fillings replaced, a crown put on, and a couple of new fillings added in the mix. That is NOTHING compared to this. So sorry, I’m shaking my head with the thought of it. Loved it – all except the parts about you falling and the pain from dental work. When you’re less swollen, will you post some photos from Dubai and tell us what it’s been like being in and around there. Love how it feels like we’re experiencing it right alongside you.